"It is particularly well-suited as an introductory text, since the author takes great care to anticipate points that may cause confusion...The author does a good job of focusing on the fundamentals...[The first] part of the book works as either a self-contained introduction to classical field theory, or as a complement to a good text on classical electrodynamics...[The second] part of the book is very clear and well planned...works as a self-contained introduction to manifolds and differential forms, or, even better, as a compliment to a concise mathematics text." "The present volume is a welcome edition to the growing number of books that develop geometrical language and use it to describe new developments in particle physics ... It provides clear treatment that is accessible to graduate students with a knowledge of advanced calculus and of classical physics.... The second half of the book deals with the principles of differential geometry and its applications, with a mathematical machinery of very wide range. Here clear line drawings and illustrations supplement the multitude of mathematical definitions. 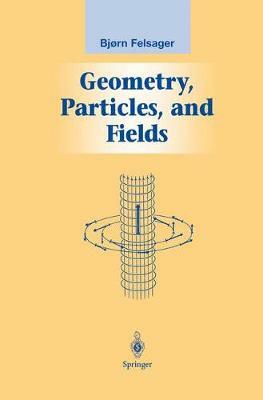 This section, in its clarity and pedagogy, is reminiscent of Gravitation by Charles Misner, Kip Thorne and John Wheeler.... Felsager gives a very clear presentation of the use of geometric methods in particle physics.... For those who have resisted learning this new language, his book provides a very good introduction as well as physical motivation. The inclusion of numerous exercises, worked out, renders the book useful for independent study also. I hope this book will be followed by others from authors with equal flair to provide a readable excursion into the next step."